1. What are probiotics? Why are they important and how do they work? Probiotics are live microorganisms such as bacteria and yeast. There are literally trillionsof these organisms in the human digestive tract.Probiotics are important because they help populate the intestines to balance the microbial environment and improve digestive health. 2. What probiotic strains are in my digestive tract? Lactobacillusstrains are the most prevalent probiotic bacteria in the small intestine, and Bifidobacteriumstrains are most prevalent in the large intestine (colon). 3. Can I find probiotics in food? Yes. Live probiotics can be found naturally in non-pasteurized, fermented foods such as yogurt and kefir, in fermented vegetables such as sauerkraut, and in soybean-based foods such as miso and tempeh. 4. If probiotics are already in my food, why would I take a probiotic supplement? 5. How do I choose a probiotic supplement? There are several key factors to consider when choosing a probiotic. They include: a high culture count; the number of strains; targeted or delayed release; a potency and stability guarantee; clear label information; a reputable manufacturer; and a “best used by” date. For more details, you can take a look at a short video on our website: https://blog.renewlife.com/do-you-know-the-6-rules-of-probiotics/. 6. What is culture count (or CFU), and why is it important in a probiotic? Culture count – also known as CFU (Colony Forming Unit) – refers to the total number of bacteria per serving. It’s an important factor because some of the most effective probiotic supplements have at least 10 billion cultures per capsule. 7. Why do the number and type of strains in a probiotic matter, and how many strains should I look for? It’s important that probiotic supplements contain high amounts of both Bifidobacteriato support the large intestine (colon) and Lactobacillito support the small intestine and urogenital tract. Look for a supplement with multiple strains of different bacteria, including clinically-studied strains that have been shown to benefit digestive health. 8. What does it mean if a probiotic is designed for “targeted” or “delayed” release? Our probiotic capsules with targeted (or delayed) release technology are designed for optimal delivery of live cultures to the intestines. They protect cultures from stomach acid so that the cultures are alive when they arrive in the intestines, where they will provide the most benefit. 9. What does it mean for a probiotic to be potent? A probiotic can be considered potent if it contains 10 billion cultures or more per serving. 10. Why do stores keep some of your probiotics refrigerated and others on the shelves? Some of our probiotic products are shelf-stable, and some are best if kept refrigerated. So if you’re looking for our probiotics in stores, be sure to check the shelves as well as the refrigerated sections. 11. Do Renew Life products contain gluten, dairy, or soy? A number of Renew Life products are made without gluten, dairy, or soy. We list all specific ingredients right on the packaging of every product. To be certain about ingredients, please check each individual product’s packaging label in the store or online. If you aren’t sure or have questions, we can be reached at 800-830-1800. 12. Are Renew Life products Non-GMO Project verified? For a full list of Renew Life products that have been verified by the Non-GMO Project, please visit their website at www.nongmoproject.org and search for our Renew Life brand. 13. Are Renew Life products vegan? Most of our products are vegetarian and many of them would be considered vegan. To determine whether a Renew Life product is vegan, check the packaging label in the store or online to be sure there are no animal ingredients listed, and look for a “dairy free” designation. We have certain formulas that may contain traces of ingredients that are not vegan, and we specifically state this on those products’ packaging labels. If you have questions, we can be reached at 800-830-1800. 14. Are Renew Life products USDA-certified organic? Many of our products contain certified organic ingredients. To be certain, please check for the “USDA organic” seal on each individual product’s packaging label in the store or online. If you’re wondering about the organic composition of our probiotic supplements, please note that because probiotics are living organisms, the probiotics in our formulas are not considered “organic” ingredients under labelling standards. If you have any questions about this, we can be reached at 800-830-1800. 15. How do I take probiotic capsules? For the best results, take one capsule daily with or without food.If you need assistance or more information, you can reach us at 800-830-1800. 16. How do I take probiotic powder? We suggest mixing probiotic powder with cool or room-temperature water, other beverages, or soft food immediately before use. Do notmix with hot beverages or hot food. 17. Can probiotic supplements cause side effects? Some individuals may experience gas and bloating when first using probiotic supplements. If you need assistance or more information, we can be reached at 800-830-1800. 18. If I’m cleansing, can I also take a probiotic? You can take a Renew Life probiotic with any of our cleansing or detox formulas. If you need assistance or more information, you can reach us at 800-830-1800. 19. Can I take a probiotic if I’m pregnant? Some experts recommend taking a daily probiotic supplement during pregnancy to promote better digestion and health. You can read more about this on our website at https://blog.renewlife.com/did-you-know-probiotics-benefit-moms-to-be/. If you are uncertain about whether to take a probiotic during pregnancy, we recommend consulting with your doctor or healthcare practitioner. 20. Do I really need to refrigerate my probiotics? What happens if I don’t? The reason we recommend keeping your probiotics in the refrigerator is to keep out moisture and help those good-for-your-gut bacteria last as long as possible. If refrigeration isn’t an option, it’s best to store your probiotics in a cool, dry place at 77 degrees Fahrenheit (25 degrees Celsius) or below (such as on the counter or in the pantry with your other supplements). 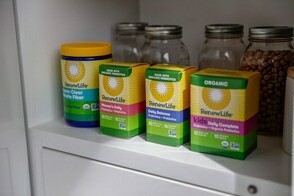 You can read more about storing your probiotics at https://blog.renewlife.com/do-i-really-need-to-refrigerate-my-probiotics/. 21. Do Ultimate Flora probiotics need to be refrigerated during shipment? 22. What is the potency guarantee for Ultimate Flora probiotics? Renew Life guarantees that when stored appropriately, every probiotic we make will meet its potency claim until the expiration date listed on the package. 23. Why does your website say that Renew Life products and Ultimate Flora probiotics haven’t been evaluated by the FDA? Renew Life distributes dietary supplements, which fall into a different regulatory category than drugs. Under the Dietary Supplement Health and Education Act (DSHEA) the Food and Drug Administration (FDA) requires a standard disclaimer for products that benefit a function of the human body (such as promoting digestive and immune health). 24. Which Renew Life probiotics are best for taking on the go? Our Ultimate Flora Go Packs are the best option if you’re looking for a shelf-stable probiotic you can take on the go. We package them in blister packs to protect each probiotic capsule from moisture, oxygen, and light. 25. What products does Renew Life offer for kids? We offer a variety of kid-friendly nutritional supplements to help your child achieve optimal health from the inside out. These products include probiotics, enzymes, Omega-3 supplements, and a colon support formula – each developed specifically for children. You can find more details about Renew Life’s kid-friendly supplements on our website. 26. Do Renew Life products for kids contain added sugar? The majority of our products for kids do not contain added sugar.We do have certain formulas that contain added sugar, and we list sugar as an ingredient on those products’ packaging labels. If you have any questions about this, we can be reached at 800-830-1300. The majority of our products for kids do not contain added sugar.We do have certain formulas that contain added sugar, and we list sugar as an ingredient on those products’ packaging labels. If you have any questions about this, we can be reached at 800-830-1800. 27. Is it safe for children to take probiotics? Yes, Renew Life makes probiotic products formulated to be safe for children. Powdered formulas and chewable tablets that can begiven to infants and toddlers are specifically labeled. If you need assistance or more information, we can be reached at 800-830-1800. If you are uncertain about giving your child a probiotic, we recommend consulting with your pediatrician. 28. What are the benefits of your kid-friendly probiotic supplements? We’ve developed our kid-friendly formulas to address a range of concerns, including digestive and immune health, colon health, nutritional support for developing minds, and relief of occasional diarrhea, constipation, and other tummy troubles. There’s also research that connects healthy gut balance to higher energy levels, overall wellness, and better sleep. You can find more information about probiotics for kids on our website. 29. What kinds of probiotics do you offer for kids and what form do they come in? We offer several Ultimate Flora probiotics for kids that come in various forms, including chewable tablets and gummies. 30. How potent are your probiotics for kids? Our Kids Daily Boost and Organic Kids Daily Complete each have 10 billion cultures per serving that come in convenient stick packs. Our Ultimate Flora Kids Probiotic Gummies come in two potencies – 2 billion or 3 billion live cultures per serving. In addition, our Ultimate Flora Kids Probiotic 1 Billion tablets have 1 billion live cultures per tablet and our Ultimate Flora Kids Probiotic 3 Billion tablets have 3 billion live cultures per tablet. We also have a chewable formula for kids called Kids Ear, Nose and Throat with 10 billion cultures per tablet, and a Baby Colic Drops formula which contains 1 billion cultures per serving. Each formula includes both Lactobacillus and Bifidobacteriumstrains to promote digestive balance and support immune health. 31. How do I decide which probiotic is right for my child? It’s a good idea to consult your doctor or health care practitioner before starting your kids on any nutritional supplements. If you are concerned about specific digestive or health issues, you should always first seek medical guidance. Generally speaking, when choosing a probiotic for your child you should consider the potency of the probiotic as well as the form it comes in (for school-age children, chewable tablets, fast-melt tablets, or gummies are a great way to help them get good bacteria added to their diet). If you need assistance or more information, we can be reached at 800-830-1800. 32. Does Renew Life have a probiotic for ear, nose, and throat health? Yes. Our Renew Life Kids Ear, Nose & Throat Probiotic contains clinically-studied strains to support children’s ear, nose, and throat health. It’s a daily probiotic formulated to dissolve in the mouth, made with 10 billion guaranteed live cultures per serving from three probiotic strains. This probiotic was developed specifically to support kids’ respiratory health while providing added digestive and immune support. 33. What’s the age range for your Renew Life Kids Ear, Nose & Throat Probiotic? Our Kids Ear, Nose & Throat Probiotic formula was developed for kids between the ages of 3 and 12. 34. Does your Renew Life Kids Ear, Nose & Throat Probiotic contain artificial flavors or colors? Our Renew Life Kids Ear, Nose & Throat Probiotic formula has a natural orange flavor and contains natural colors. 35. Is it safe for babies to take probiotics, and what are the benefits? Yes. In fact, newborns receive their first “good” or “friendly” bacteria earlier than you might expect – according to one recent study, in the mother’s womb. Taking a probiotic supplement as early as infancy may help promote a healthy balance of intestinal flora to support digestion, and probiotics are considered a safe and gentle way to help support the immune system.You can find more information about probiotics for infants on our website. If you need assistance or more information, we can be reached at 800-830-1800. If you are uncertain about giving your baby a probiotic, we recommend consulting with your pediatrician. 36. What probiotic does Renew Life offer for babies and what does it do? Our Ultimate Flora Baby Probiotic 4 Billion delivers a blend of scientifically studied, health-promoting strains chosen for their prevalence in infants’ and toddlers’ digestive tracts. We developed this formula specifically for babies to foster optimum digestion and immune function. We also offer our Baby Colic Drops in a liquid dropper form with 1 billion cultures per serving to help reduce crying time for colicky babies. 37. What form does your Ultimate Flora Baby Probiotic 4 Billion come in, and how do I give it to my infant or toddler? Our Ultimate Flora Baby Probiotic 4 Billion is an unflavored powder that mixes easily with cool or room-temperature infant formulas, juice, milk, or other liquids. 38. What’s in your Renew Life Baby Colic Drops formula, and what does it do? Our Renew Life Baby Colic Drops formula contains two probiotic strains with 1 billion live cultures as well as vitamin E. These clinically-studied strains have been shown to reduce crying time in colicky babies. 39. What are the directions for using yourRenew Life Baby Colic Drops? Our Renew Life Baby Colic Drops come in a convenient liquid form with an easy-to-clean dropper. We recommend that you shake well before use, then mix five drops per day into breast milk or formula (no more than 98.6 degrees Fahrenheit/37 degrees Celsius). You should notstir the drops into boiling milk or insert the dropper directly into the baby’s mouth. 40. Does Renew Life have a fish oil supplement developed for kids? Yes, our Norwegian Gold Kids DHA supplement was developed to support healthy brains, eyes, and bones. 41. What’s in your Norwegian Gold Kids DHA supplement and what form does it come in? Our Norwegian Gold Kids DHA is a quick-dissolve softgel that contains 200 mg Omega-3 DHA per serving, 500 IU Vitamin D3 per serving, and the powerful antioxidant astaxanthin. 42. What’s the age range for your Norwegian Gold Kids DHA supplement? Our Norwegian Gold Kids DHA supplement was developed for kids age 3 and older. 43. Does Renew Life offer a colon support supplement for kids? Yes, our Gentle Move Kids Colon Support was developed to promote healthy elimination and help restore regularity. 44. What’s in your Gentle Move Kids Colon Support, and what form does it come in? Our Gentle Move Kids Colon Support is a chewable Buddy Bear tablet made with magnesium, prune and fig, rhubarb, peach, and other natural ingredients. 45. Does your Gentle Move Kids Colon Support contain any artificial ingredients? Our Gentle Move Kids Colon Support is made with natural ingredients. 46. What kind of enzyme supplement does Renew Life offer for kids? Our Digest Smart Kids Enzyme supplement was developed to be taken with meals to gently help break down foods in the digestive tract and keep kids’ digestive systems running smoothly. 47. What is your Digest Smart Kids Enzyme supplement, and what form does it come in? Our Digest Smart Kids Enzyme is a Buddy Bear-shaped, chewable tablet made from plant-based ingredients. 48. Is your Digest Smart Kids Enzyme supplement flavored? Our Digest Smart Kids Enzyme formula has a sugar-free natural Berry Blast flavor. 49. What are the benefits of cleansing? Our bodies are exposed to everyday toxins in our air, water, food, and even in our own homes. Over time, those toxins may build up in the body and affect our overall health. For this reason, many health experts recommend regular internal cleansing to help the body more efficiently eliminate toxins and waste. You can read more about natural body cleansing at https://blog.renewlife.com/natural-body-cleansing-what-are-the-benefits-and-where-to-begin/. 50. Is it true that cleanses will require more frequent trips to the bathroom? While everyone has different bowel habits, Renew Life cleansing systems are not designed to require more frequent bathroom trips. Our colon support products are intended to be taken only in the evening, which allows the colon support formula to work overnight and help promote a normal bowel movement in the morning. If you need assistance or more information, you can reach us at 800-830-1800. 51. Will cleansing flush out vitamins and other supplements? No. Cleansing herbs function by simply “up-regulating” your detoxification functions. They do not flush out vitamins or other supplements. 52. Why are there different kinds of cleanses? There are two overall types of cleanses: (1) general total body cleanses and (2) targeted cleanses. At Renew Life, we offer options in both categories. 53. What are Renew Life’s general total body cleanses and how are they different? Our cleanses in this category include First Cleanse, Total Body Cleanse, Cleanse Smart, and Rapid Cleanse. While First Cleanse and Total Body Cleanse are milder formulas that contain whole herbs, Cleanse Smart and Rapid Cleanse are stronger, more advanced formulas with deep-cleansing herbal extracts. 54. What are Renew Life’s targeted cleanses? Our targeted cleanses include our CANDISmart Yeast Cleansing Formula, our PARASmart Microbial Cleanse, our Liver Detox Organ Cleansing Program, our Smokers Cleanse Lung Support Formula, and our Diet Start Cleanse Natural Jump-Start Program. You can read more about the benefits of each targeted cleanse at https://www.renewlife.com/targeted-cleansing.html. 55. If I’ve never cleansed before, where do I begin? We recommend beginning with a general total body cleanse such as Renew Life’s First Cleanse or Total Body Cleanse. These products contain whole herbs instead of deep-cleansing herbal extracts and are designed for first-time cleansers. If you need assistance or more information, you can reach us at 800-830-1800. If you are uncertain about whether to cleanse, we recommend consulting with your doctor or healthcare practitioner. 56. Are Cleanse Smart and Rapid Cleanse okay for a first-time cleanser to use? Because Cleanse Smart and Rapid Cleanse are advanced total body cleanses that use deep-cleansing herbal extracts, they are recommended for first-time cleansers who also experience occasional constipation. If you need assistance or more information, you can reach us at 800-830-1800. If you are uncertain about which type of cleanse to select, we recommend consulting with your doctor or healthcare practitioner. 57. Do I need to use a general cleanse like Cleanse Smart before moving on to a targeted formula? If you have not cleansed or detoxed in the past year, it is a good idea to start with Cleanse Smart or First Cleanse, and then move on to a targeted formula such as CANDISmart or PARASmart. If you need assistance or more information, you can reach us at 800-830-1800. If you are uncertain about which type of cleanse to select, we recommend consulting with your doctor or healthcare practitioner. 58. If I have a medical condition can I still use cleansing products? If you have an existing medical condition, we recommend consulting your healthcare practitioner or doctor prior to cleansing. 59. Can I take cleansing products if I am pregnant or nursing? Cleansing is not recommended during pregnancy or while nursing. 60. Can children take cleansing products? Renew Life cleanses are not formulated for children. 61. Can I take other supplements while cleansing? You can continue take other supplements while cleansing. However, for maximum benefit we recommend separating them from any part of the cleanse system by at least one hour. If you are uncertain about taking other supplements while cleansing, we recommend consulting with your doctor or healthcare practitioner. 62. Can I take probiotics while cleansing? Yes, you can take a probiotic with any of our cleanse systems. If you need assistance or more information, you can reach us at 800-830-1800. If you are uncertain about taking probiotics while cleansing, we recommend consulting with your doctor or healthcare practitioner. 63. Can I increase the dosage of the cleansing products for more effectiveness? We do not suggest increasing dosage beyond the recommended dose for any of our Renew Life cleanses. If you need assistance or more information, you can reach us at 800-830-1800. 64. Can I open cleanse capsules if I cannot swallow a capsule? Our CANDISmart and PARASmart capsules should remain intact when you take them. 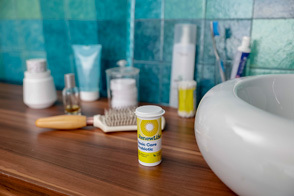 For other Renew Life products, as an alternative to swallowing a capsule, you can empty its contents into a small amount of applesauce, plain yogurt, or other soft food. 65. I’m taking a prescription medication, can I take it while cleansing? If you are taking medication, we recommend consulting with your healthcare practitioner or doctor before taking any cleanse supplement. 66. Do you have diet suggestions while using cleansing products? Eating as healthy as possible is very supportive to the detoxification process. Drinking plenty of purified water and increasing your fiber intake is also important. For more information and recommendations, you can visit our website at http://blog.renewlife.com/cleansing-diets-part-1-general-cleansing-guidelines/ for further diet recommendations. 67. Do I have to take other products suggested on the cleansing product boxes? You don’t have to take the other suggested products. Fiber is suggested while taking cleansing products because it helps support the detox process. If you’re currently taking a fiber supplement, you can continue to do so while using cleansing products. 68. How do I know if a cleanse is working? Results vary. You may experience improvements in regularity, a general sense of wellbeing, and higher energy levels. If you need assistance or more information, you can reach us at 800-830-1800. 69. Is there a recommended waiting period between cleanses? Please be sure to read each product’s packaging for specific guidance. If you need assistance or more information, you can reach us at 800-830-1800. If you are uncertain about the timing of your cleanses, we recommend consulting with your doctor or healthcare practitioner. 70. How often can I use a specific cleanse? 71. If I use multiple types of cleanses, is it okay to do more than four cleanses a year? Be sure to read each product’s packaging for specific guidance. If you need assistance or more information, you can reach us at 800-830-1800. If you are uncertain about the timing of your cleanses, we recommend consulting with your doctor or healthcare practitioner. 72. Can I use more than one cleanse at a time? You should use only one cleanse at a time. If you are uncertain about the timing of your cleanses, we recommend consulting with your doctor or healthcare practitioner. 73. What if I forget a dose while using a cleansing product? There’s no need to worry if you forget a dose. Simply continue taking the cleansing product as suggested on the following day. Do notdouble a dose. 74. What are digestive enzymes and why do I need them? Digestive enzymes are proteins your body makes to help break down the food you eat into usable nutrients that are absorbed in the digestive tract and used throughout the body. They play an important role in every function in the human body, including digestion, breathing, reproduction, elimination, and kidney and liver function. 75. If my body already has enzymes, why would I want to take an enzyme supplement? Humans used to get a lot more enzymes from their diet than most of us do today. Our foods are depleted of natural enzymes when they are refrigerated, transported, processed, or cooked. In addition, enzyme production decreases with age. There are also several digestive enzymes the human body lacks, including cellulase (needed to break down plant fibers) and phytase (needed to break down the phytic acid found in beans and legumes). If you need assistance or more information, you can reach us at 800-830-1800. If you are uncertain about taking an enzyme supplement, we recommend consulting with your doctor or healthcare practitioner. 76. What kinds of enzymes does Renew Life offer and what do they do? Renew Life offers a range of plant-based enzymes that promote optimal digestion so that you can feel comfortable and get the most nutrients from your food. Our enzymes help maximize digestion of a broad range of foods, prevent occasional gas, bloating, and indigestion, and promote a healthy intestinal environment. You can find more details about our enzymes on our website. 77. Why do you offer several different types of enzymes? How are they different? While all of our enzymes aid in digestion, we have developed specialized formulas to also target specific concerns such as gas, heartburn, microbial balance, bloating and indigestion, and pH balance. In addition, we offer targeted enzymes developed for women, adults over 50, and kids. 78. Which Renew Life enzyme should I take for gas and discomfort? Renew Life’s Gas Stop is a fast-acting, potent digestive enzyme blend that helps break down gas-forming foods to relieve occasional gas, bloating, and pressure. It also contains fennel seed to help relax and soothe the digestive tract so that you can feel comfortable again. 79. What form does Renew Life Gas Stop come in? Our Renew Life Gas Stop comes in a vegetable capsule. 80. Which Renew Life enzyme should I take for heartburn? Renew Life’s Heartburn Stop is a digestive enzyme made with powerful herbs, minerals, and enzymes that help neutralize stomach acidity for relief of occasional heartburn. This formula includes soothing ingredients that have traditionally been used to help protect the lining of the esophagus and the stomach so that you can feel comfortable again. 81. What form does Renew Life’s Heartburn Stop come in? Renew Life’s Heartburn Stop comes in a chewable, raspberry-flavored tablet. 82. If I’m looking for a high-potency enzyme, which Renew Life enzyme do you recommend? We offer several Digest Smart high-potency enzymes that are made with maximum Enzyme Activity Values so that you can comfortably enjoy more of your favorite foods. These formulas were developed to prevent occasional gas, bloating, and indigestion, and to support the digestion of the most problematic foods. Our high-potency enzymes include Digest Smart Extra Care, Digest Smart Women’s Care, Digest Smart Adult 50+ Care, and Digest Smart Chewable Enzyme. 83. What’s in Renew Life’s Digest Smart Extra Care and what does it do? Digest Smart Extra Care is a broad-spectrum digestive enzyme formulated with 25 plant-based, raw enzymes to help break down protein, carbohydrates, fats, and fiber. This formula was specifically developed to help digest all kinds of food, including the most problematic foods. 84. What form does Renew Life’s Digest Smart Extra Care come in? Renew Life’s Digest Smart Extra Care comes in a targeted-delivery vegetable capsule. 85. What’s in Renew Life’s Digest Smart Women’s Care and what does it do? Renew Life’s Digest Smart Women’s Care is a broad-spectrum digestive enzyme formulated with 25 plant-based, raw enzymes to help break down protein, carbohydrates, fats, and fiber. This formula was developed to help prevent occasional gas, bloating, and indigestion, and also contains a special stress-reduction blend of herbs to help lessen occasional stress-induced digestive disturbances. 86. What form doesRenew Life’s Digest Smart Women’s Care come in? Renew Life’s Digest Smart Women’s Care comes in a targeted-delivery vegetable capsule. 87. Does Renew Life’s Digest Smart Women’s Care contain gluten? Renew Life’s Digest Smart Women’s Care may contain traces of wheat from ingredients used in the fermentation process for making enzymes. 88. What’s in Renew Life’s Digest Smart Adult 50+ Care and what does it do? Digest Smart Adult 50+ Care is a broad-spectrum digestive enzyme formulated with 25 plant-based, raw enzymes to help break down protein, carbohydrates, fats, and fiber. This formula was developed to help prevent occasional gas, bloating, and indigestion, and includes additional herbs and trace minerals that can help optimize enzyme production lost with age. 89. What form does Renew Life’s Digest Smart Adult 50+ Care come in? Renew Life’s Digest Smart Adult 50+ Care comes in a targeted-delivery vegetable capsule. 90. What’s in Renew Life’s Digest Smart Chewable Enzyme and what does it do? Renew Life’s Digest Smart Chewable Enzyme is a chewable tablet formulated with 12 plant-based enzymes to help your body’s natural processes break down the proteins, carbohydrates, fats, and fiber found in all kinds of food. It’s a sugar-free, berry-flavored enzyme that’s sweetened with xylitol. 91. What’s in Renew Life’s PARAZyme enzyme supplement and what does it do? Renew Life’s PARAZyme is a potent intestinal health formula made with digestive enzymes and herbs. It supports healthy microbial balance, helps strengthen your intestinal lining, enhances digestion, and supports your immune system. The formula contains HCl (hydrochloric acid) for digestive aid and pH regulation and the amino acid L-glutamine to offer additional support for your immune, digestive, and nervous systems. 92. What form does Renew Life’s PARAZyme come in? Renew Life’s PARAZyme comes in a vegetable capsule. 93. Does Renew Life’s PARAZyme contain shellfish? Renew Life’s PARAZyme contains ingredients derived from crustacean shellfish (shrimp, lobster, crab). 94. What’s in Renew Life’s CANDIZyme enzyme supplement and what does it do? Renew Life’s CANDIZyme was developed to promote balance of intestinal yeast and provide potent intestinal support. Its targeted yeast balance formula contains a full spectrum of enzymes as well as our special SmartZyme blend developed to support a broad pH range in your digestive tract. 95. What form does Renew Life’s CANDIZyme come in? Renew Life’s CANDIZyme comes in a vegetable capsule. 96. What’s in your Renew Life DigestMore enzyme supplement and what does it do? Renew Life’s DigestMore is more than a digestive enzyme formula because it combines a broad spectrum of natural plant-sourced enzymes with additional ingredients to soothe the digestive tract and help reduce occasional digestive discomforts like gas and bloating. These additional ingredients include L-glutamine and our special SmartZyme blend developed to support a broad pH range in your digestive tract. 97. What form does Renew Life’s DigestMore come in? Renew Life’s DigestMore comes in a vegetable capsule. 98. Does Renew Life’s DigestMore contain shellfish? Renew Life’s DigestMore contains an ingredient derived from crustacean shellfish (shrimp, lobster, crab). 99. What’s in your DigestMore Ultra enzyme supplement, and what does it do? Renew Life’s DigestMore Ultra is an ultra-strength, broad-spectrum plant-sourced enzyme formula that enhances the digestion of proteins, carbohydrates, and fats. It provides powerful digestive support to reduce occasional digestive discomforts like gas and bloating, and helps unlock the nutrients in your food. It contains a strong mix of plant-based enzymes as well as our special SmartZyme blend developed to support a broad pH range in your digestive tract. 100. What form does Renew Life’s DigestMore Ultra come in? Renew Life’s DigestMore Ultra comes in a vegetable capsule. 101. Why should I consider taking a fiber supplement? Fiber supplements can support digestive heath, promote bowel regularity, and help eliminate toxins from your digestive tract. They work in harmony with probiotics to feed good bacteria, offer support for healthy cholesterol levels already within normal range, and may also help curb your appetite. If you need assistance or more information, you can reach us at 800-830-1800. If you are uncertain about taking a fiber supplement, we recommend consulting with your doctor or healthcare practitioner. 102. What types of fiber supplements do you offer? We offer a range of fiber supplements, including Organic Triple Fiber capsules and powders, Fiber Smart capsules and powders, Organic Clear Fiber powder, and a line of Skinny Gut fiber drink mixes. You can read more about these products at https://www.renewlife.com/fiber-supplements.html. 103. Are your fiber supplements psyllium-free? Yes, our fiber supplements are psyllium-free. 104. How often should I take your fiber supplement capsules? You can take up to four Fiber Smart capsules at a time, and up to five Organic Triple Fiber capsules at a time. Both can be taken up to three times a day.If you need assistance or more information, you can reach us at 800-830-1800. If you are uncertain about how frequently to take a fiber supplement, we recommend consulting with your doctor or healthcare practitioner. 105. How do I use your fiber supplement powders, and how often? For best results, mix one measured portion daily with cool or room-temperature water, another liquid, or soft food.If you’re using our Organic Clear Fiber powder, it’s also great for cooking or baking. If you need assistance or more information, you can reach us at 800-830-1800. 106. What are the ingredients in your Fiber Smart powder and capsules, and what are their benefits? Our Fiber Smart formula includes organic flax fiber, L-glutamine, probiotics, and soothing herbs. It’s recommended for sensitive colons and helps support digestive balance and intestinal health. 107. What are the ingredients in your Organic Triple Fiber powder and capsules, and what are their benefits? Our Organic Triple Fiber powder and capsules are made from 100% organic flax, oat bran, and acacia fiber. It’s a fiber formula that promotes regularity and digestive health and helps eliminate toxins from the digestive tract. 108. What are the ingredients in your Organic Clear Fiber formula, and what are its benefits? We make our Organic Clear Fiber powder with 100% soluble acacia fiber. It’s a flavor-free, clear-mixing supplement that’s great for cooking or baking. It helps to curb your appetite, promote digestive balance, and support healthy cholesterol levels. In addition, the fiber’s prebiotic benefits help restore your gut flora’s natural harmony. 109. Why should I consider taking a fish oil supplement? Fish oil supplements supply the essential fatty acid Omega-3. (Essential fatty acids are good-for-you fats used by every cell in your body to support and manage vital functions.) Because the body produces very little Omega-3 on its own and because most Americans don’t get enough from food alone, taking a daily fish oil supplement can help supply additional Omega-3 fats. You can read more about Omega-3 at https://blog.renewlife.com/omega-3-what-is-it-and-how-much-do-i-need/. 110. What are the benefits of taking fish oil supplements? The healthy fats found in oily fish have been shown to promote heart health, in part due to their natural anti-inflammatory properties. These healthy fats include Omega-3 EPA and DHA(a polyunsaturated omega-3 fatty acid). Both Omega-3 EPA and DHA are beneficial. EPA is best known for supporting cardiovascular health, healthy cholesterol levels, and a healthy mood, and it has also been linked to joint health and immune function support. DHA is best known for supporting eye health and brain function. 111. Will I experience a “fishy” taste if I take a fish oil supplement? You don’t have to worry about a “fishy” taste with Renew Life’s Norwegian Gold supplements. We make them with enteric-coated soft gels so that the fish oil is delivered directly to the intestines for better absorption and no fishy aftertaste. 112. What type of fish is used to make Norwegian Gold fish oils? Renew Life Norwegian Gold contains molecularly distilled purified fish oils from smaller fish such as anchovies and sardines. 113. What is the purity and potency of Norwegian Gold fish oils, and how is this verified? To ensure purity and potency, each batch of our Norwegian Gold fish oils undergoes third-party testing by the International Fish Oil Standards (IFOS). IFOS testing verifies that the manufacturer’s certificate of analysis is accurate. 114. What is the potency of Norwegian Gold® Super Critical Omega? Norwegian Gold Super Critical Omega is a verified maximum-strength fish oil supplement with 1,000 mg of Omega-3 in each softgel capsule. It is super concentrated to 95% total Omegas, and also contains 1000 IU Vitamin D3 per capsule. 115. Do I need to refrigerate Norwegian Gold fish oils? There is no need to refrigerate our Norwegian Gold fish oils. 116. What’s in your Skinny GutUltimate Shake? Our Renew Life Skinny Gut Ultimate shakes are USDA-certified organic drink mixes that are plant-based, grain-free, high-protein, and high-fiber. They contain prebiotic organic fiber, 10 billion Ultimate Flora live probiotic cultures, digestive enzymes, fruit and veggie antioxidants, plus vitamins and minerals. 117. What are the benefits of your Skinny Gut Ultimate Shake? As a dietary supplement, our Skinny Gut shakes support healthy digestion and gut balance, and can help you build muscle as well as curb your appetite. 118. Is your Skinny Gut Ultimate Shake a liquid supplement, or is it a drink mix? Our Skinny Gut Ultimate Shake comes in a powder drink mix that you can buy in multiple-serving containers or single-serving packets. 119. Is there sugar added to your Skinny Gut Ultimate Shake? No sugar is added to our Skinny Gut Ultimate Shake. 120. What flavors does your Skinny Gut Ultimate Shake come in? We offer our Skinny Gut Ultimate Shake in Vanilla and Chocolate. 121. How many calories are in your Skinny Gut Ultimate Shake? Our vanilla-flavored Skinny Gut Ultimate Shake has 130 calories per serving, and the chocolate flavor has 140 calories per serving. 122. What’s in your Skinny Gut 100% Organic Acacia Fiberand what are its benefits? As its name indicates, this dietary supplement is made of 100% organic natural acacia fiber. Each serving provides 5 grams of the 20 to 35 grams of daily fiber recommend by experts. Its benefits include curbing your appetite by helping you feel full, as well as promoting digestive health and gut balance while removing digestive toxins. 123. What form does your Skinny Gut 100% Organic Acacia Fiber come in, and how do I take it? Our Skinny Gut 100% Organic Acacia Fiber is an easy-mixing, grit-free powder that dissolves in beverages or soft foods. We recommend that you stir 1 level tablespoon into 6 to 8 ounces of liquid or soft food, up to 3 times daily. 124. Does your Skinny Gut 100% Organic Acacia Fiber contain psyllium? Our Skinny Gut 100% Organic Acacia Fiber is psyllium-free. 125. Does your Skinny Gut 100% Organic Acacia Fiber contain any sugar? Our Skinny Gut 100% Organic Acacia Fiber contains no added sugar. 126. What’s in Renew Life’s IntestiNew and what does it do? Renew Life’s IntestiNew is a proprietary formula that targets occasional stress in the bowel or digestive tract. It contains the amino acid L-glutamine, N-acetyl D-glucosamine (a derivative of glucose), the antioxidant gamma oryzanol, and a select blend of herbs. These ingredients work together to promote a healthy intestinal lining and your overall digestive wellbeing. 127. What form does Renew Life’s IntestiNew come in? Renew Life’s IntestiNew comes in both a powder and a vegetable capsule. 128. Does Renew Life’s IntestiNew contain shellfish? Renew Life’s IntestiNew contains an ingredient derived from crustacean shellfish (shrimp, lobster, crab). 129. How should I take Renew Life’s IntestiNew powder? We suggest taking one level scoop mixed with six to eight ounces of room-temperature, purified water in the morning on an empty stomach. This may be repeated in the evening. 130. How should I take Renew Life’s IntestiNew capsules? We suggest taking two to four capsules on an empty stomach, up to 12 capsules daily.